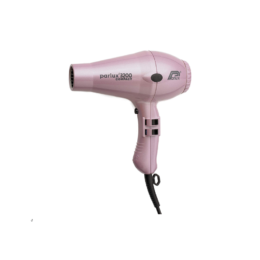 Metal coil hair dryer: A metal coil hair dryer is the traditional type of hair dryer that was mentioned in the introduction. 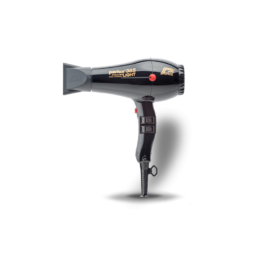 This is a hair dryer that features a nichrome wire, which is an alloy of both nickel and chromium. You were provided of an explanation regarding how these hair dryers work, as well as the pros and cons of using them, in the first paragraph. Impeller – This is the plastic part inside of the hair dryer where blades draw air in through the vents, and then push the air past the heating element and shoot it out. Ceramic hair dryers: Ceramic hair dryers are becoming more popular today. These are hair dryers that have a ceramic coating applied to the heating element. They come in many configurations, but the purpose of ceramic hair dryers is to heat more effectively and evenly. 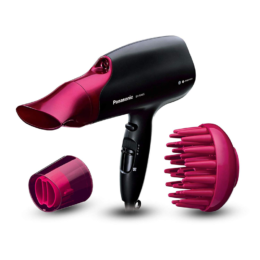 Tourmaline hair dryers: Tourmaline hair dryers are a recent innovation. This is a ceramic hair dryer, however, the difference is that ceramic has been infused with crushed tourmaline. The purpose of this is to provide an ideal flow of heat by supporting the creation of ions. What are ions? Don’t worry; we will define that too. Positive and negative ions: An ion is a molecule or atom with a net electric charge. Not all hair dryers are created the same, and this largely comes down to the ions it creates. For example, ionic hair dryers create millions of negative ions. Ionic hair dryers: Now that you know what ions are, we can explain what an ionic hair dryer is. Ionic dryers have been designed for two purposes: to create less damage to the hair and to provider a shorter dry time. They do this because they emit negative ions, which cause globs of H2) molecules to divide into smaller size particles, which evaporate quicker. Hydroionic crystals: There are lots of hair dryers today that harness the energy of Hydroionic crystals. 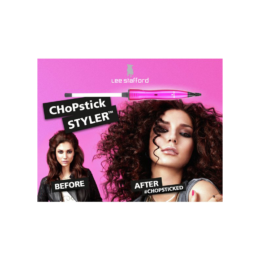 The purpose of this is to avoid the dry hair that can occur from heat styling. Hydroionic crystals will condition and hydrate the stands for healthier hair. This also helps to reduce frizz. Titanium dryers: Titanium refers to the metal that is used to create the dryer elements. Supersonic dryers: Finally, we have another type of hair dryer: the Dyson supersonic dryer. This Dyson hair dryer is deemed to be the most powerful hair dryer around, yet it is also the quietest. It has a jet force that is three times bigger than normal hair dryers.